Food: It Is More has been up and running for 3 months and it has adjusted how I think about a few things. 1. Food blogging is hard work – all the eating and writing. I’m not joking. I find the writing the most difficult aspect; often I need a lot of inspiration to craft a post that I feel good publishing. 2. A slight change in the variables can lead to different experiences and conclusions. Point #2 is something that has given me the most problem when it comes to writing about the food I eat. I often find myself eating at the same restaurant a few times before I get around to blogging about it. It’s great when subsequent visits confirm my initial impressions. However, sometimes the impression created from different meals at the same location contradict one another. Whether I decided to do take out instead of dining in, order different dishes or go during a peak time (lunch/dinner rush) versus a non-peak time, sometimes I walk away scratching my head not knowing what to think of a restaurant due to the varying experiences. A perfect example is my experiences at NUBA. I was slammed at work and I knew I didn’t have the time to dine in, but I was happy I could at least grab take out from Nuba, which was within a 5 minute walk. I ordered the Lamb Kafta Plate. The Nuba menu describes it as, “a grilled grain-fed halal lamb patty, seasoned with onions, parsley, and spices”. Hummus, salad, pickled cabbage, olives, pita, rice (with an option for roasted potatoes if you prefer) and tzatziki sauce came with the Lamb Kafta plate. All the side dishes were fresh and delicious. I really like the pickled cabbage (purple in the upper right in the picture). I felt really healthy eating all greens that came with the plate. 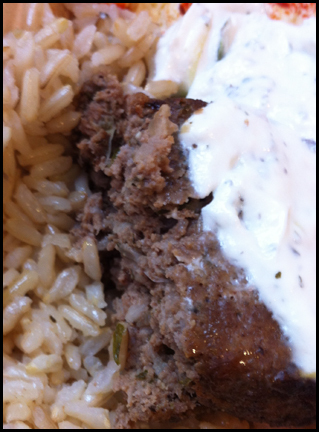 The Lamb Kafta, on the other hand, was less successful. It was unevenly cooked. I found parts of it overcooked while some parts was under cooked and pink. If this were a lamb kebab I would have welcomed it but when it comes to ground meat I prefer it to be cooked thoroughly to prevent food poisoning, especially if I don’t know the quality control of a restaurant. Fortunately I did not get sick but I was not impressed. At this point I was ready to give Nuba a pass but my good friend suggested I try their vegetarian entrees instead and in particular their crispy cauliflower. 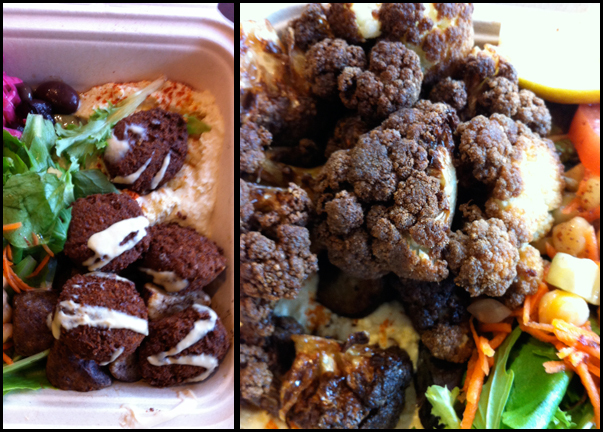 Unfortunately, work was still super busy, so a co-worker and I decided to get the Najib’s Special (the Famous Crispy cauliflower tossed with lemon and sea salt) and the Falafel Plate (Victor’s secret recipe of organic chickpeas, fava beans, veggies and spices) to go. 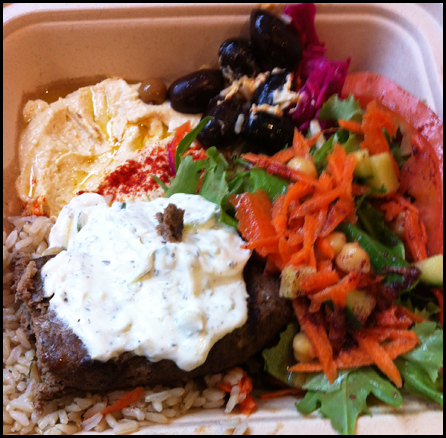 All the plates came with the same sides as the Lamb Kafta but with Tahini instead of Tzatziki. 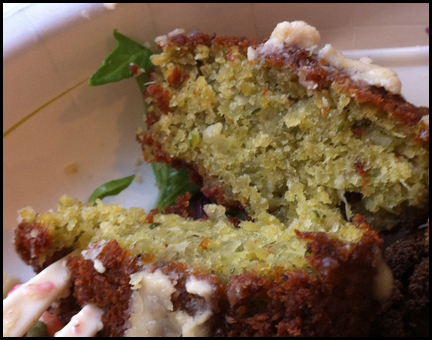 The sides were good as previous but the Falafel was dry and needed to be drenched in lots of tahini. The Crispy Cauliflower was tasty. Deep-frying the normally bland white veggie gave it a sweet and nutty flavour. The lemon helped cut through the grease and made the dish lighter. The smaller pieces were tastier than the larger ones. The only thing I didn’t like was that they weren’t crispy and a little on the soggy side. Just from making something similar at home, albeit roasted, I expect a light crunch akin to a lightly toasted piece of bread. Based on my mediocre take-out experience, I wasn’t too impressed with Nuba and I decided it wasn’t a place I would regularly eat at. However sometimes life throws you a curve ball. A friend wanted to meet for lunch and really wanted to go to Nuba. I obliged and arrived first and was seated, only to have my friend cancel on me. I decided I didn’t really have the time to find another place to eat and decided to order 2 of their appetizers: the Najib Special and the Chicken Tawook (Nuba describes it as Grilled Mount Lehman chicken breast marinated in paprika, thyme, lemon and garlic confit with hummus and avocado). My dine-in experience was so much better than my take out experience. 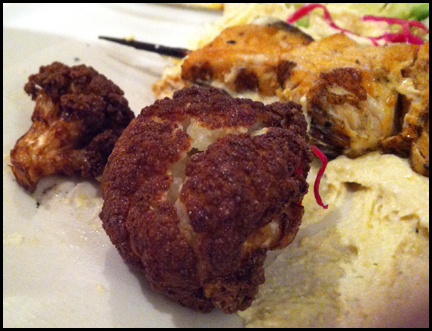 The crispy cauliflower had a slight crisp to it and was prepared very well. It was clear the take out box and 5 minute walk definitely had a role in creating the soggy cauliflower I had in my take out version. The chicken was tender, juicy and flavourful. Much better prepared than the Lamb Kafta. Despite being appetizers, both dish had some salad and the pickled cabbage I liked from the plates. I also found the portion of the cauliflower and two skewers of chicken similar to the portion you got in the plate version, especially the Najib Special. The only difference is that you don’t get as many side dishes. Based on my dine-in experience, I would recommend Nuba. As you can see two different perspectives yielded two different conclusions. – The appetizers size might be a better way to go since you get almost the same amount of the feature item and can try more items. In general, based on this Nuba experience and others that I have had in the past 3 months I think it’s really important to consider all variables before coming to a conclusion even is they are not in sync. 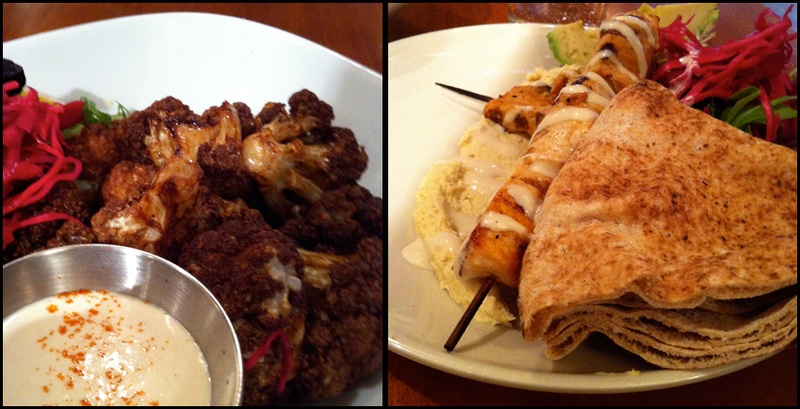 If I hadn’t gone to dine in at Nuba I would have missed out on some good food. It proved to me, it’s good idea to try a restaurant more than once if it’s possible before making judgment about an eatery. This is especially true if the first visit was not that great. A change in perspective, even as simple as dining in versus take out or ordering a different portion size, might lead to a wonderful meal. Based on what I have learned thus far, I hope my posts are fair and do not lead anyone to a bad meal. Thanks for reading my blog.